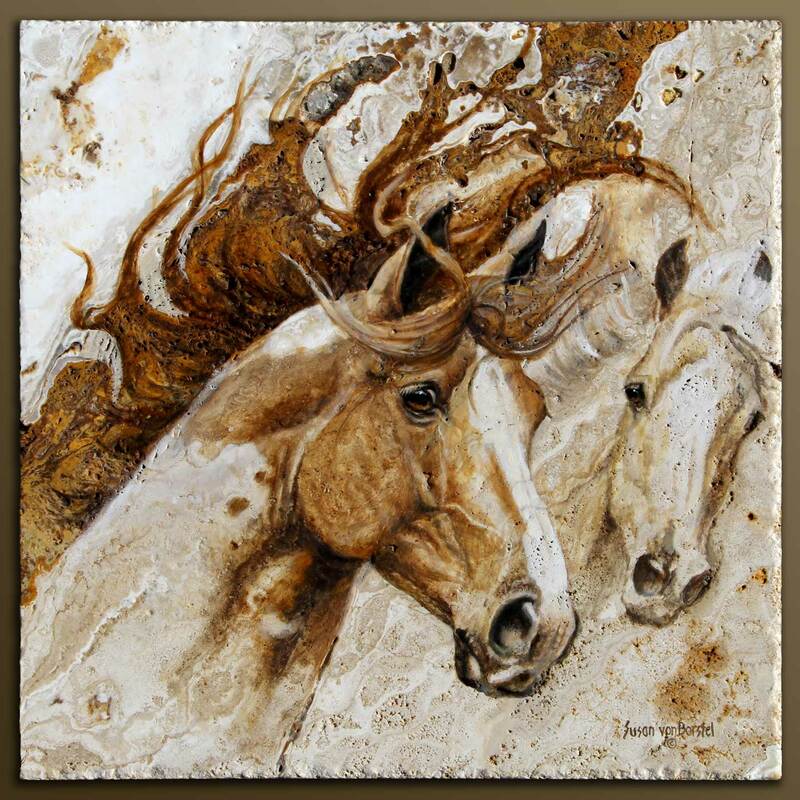 About the Artist: Susan von Borstel is an award winning internationally collected painter of animals and people. 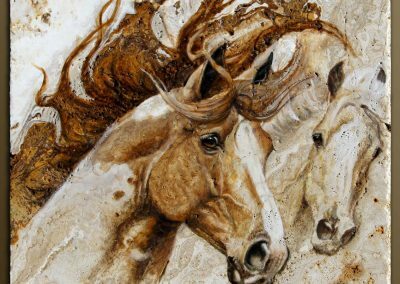 Crazy about horses and wild about art she started painting and drawing horses at a young age and went on to receive a BS degree from the University of Colorado in Zoology and Art. 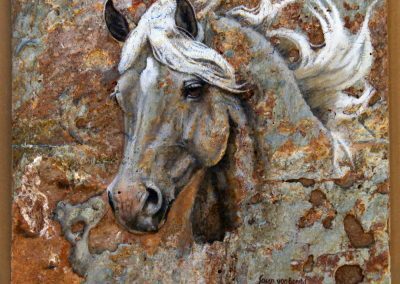 Susan’s Image-True Prints™ have a satin finish and the Standard and Large sizes are available with or without mat and frame, while the Mini and Jumbo are available as Contemporary Mount only (no mat or frame). 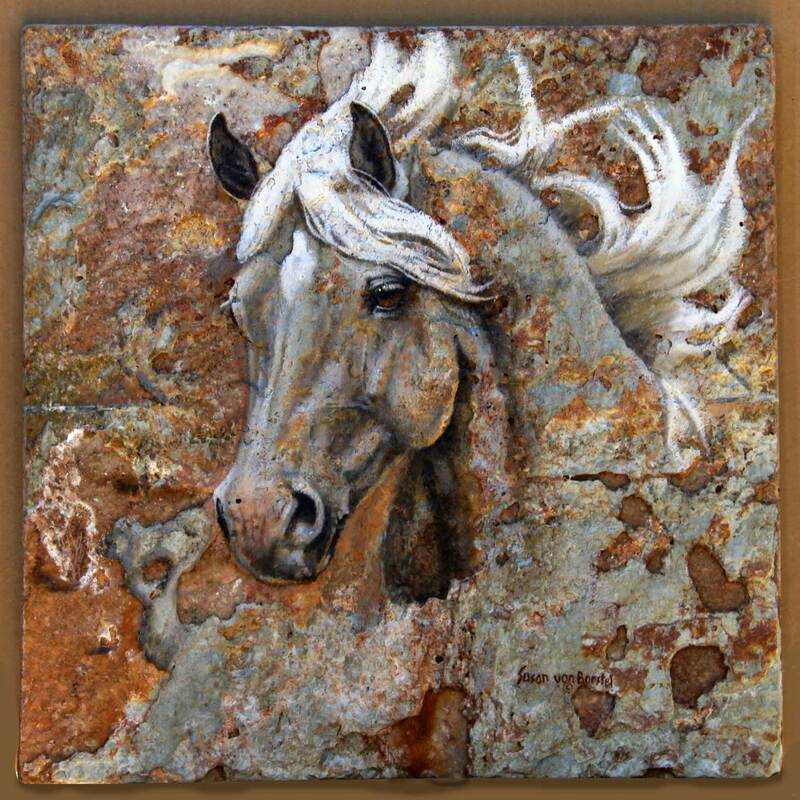 About the Art: Susan worked with several chemists to develop an archival process for painting on stone, whether very hard like granite and marble or softer like onyx, travertine or slate. Since the patterns in stone often suggest animals in unusual positions she uses her “artistic license” to distort or simplify them so they aren’t photographic, but work with the stone’s unique texture and pattern.